There are 24 petitions before the apex court challenging the validity of Aadhaar. The constitutional bench headed by CJI Dipak Misra and comprising Justices AK Sikri, AM Khanwilkar, DY Chandrachud and Ashok Bhushan had passed an order extending the date for linking Aadhaar to all services to March 31, 2018. Justice Anand Byrareddy (former judge of Karnataka High Court) has also filed an impleadment application challenging the provisions of Aadhaar in the Court. A Supreme Court bench comprising CJI Dipak Misra, Justices R Banumathi and Ashok Bhushan had admitted a review petition by Mukesh Singh (one of the four convicts sentenced to death in the Nirbhaya case) against the Court’s May 5 judgment wherein it had upheld the Delhi High Court’s ruling awarding death sentence to all four, calling it the “rarest of rare” crimes. The petitioner’s advocate contended that he was falsely implicated and was not even present at the time of the incident. Hearing of the review petition was held on December 12, 2017. The Kerala High Court had annulled the marriage of Hadiya (formerly Akhila) and Shafin Jahan in May 2017 as it was dissatisfied with the manner in which it was conducted. It also granted custody of Hadiya to her father. Two months later, Jahan filed a Special Leave Petition (SLP) against the High Court’s order. In the last hearing, the Supreme Court allowed Hadiya to continue her studies and appointed her college’s dean as her guardian. A petition was filed by two refugees against the government’s decision to deport over 14,000 Rohingyas who are said to be illegal migrants residing in India, largely in Jammu, Hyderabad, Haryana, Uttar Pradesh, Delhi-NCR and Rajasthan. On December 5, 2017, a Supreme Court bench headed by CJI Dipak Misra posted all petitions concerning the deportation of Rohingyas for hearing on January 31. 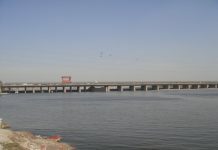 The Allahabad High Court in its 2010 judgment had ruled a three-way division of the disputed 2.77-acre area at Ayodhya among the Sunni Waqf Board, Nirmohi Akhara and Lord Ram Lalla. A Supreme Court bench comprising CJI Dipak Misra, Justices Ashok Bhushan and Abdul Nazeer will hear 13 appeals filed against the judgment of the High Court. On December 5, 2017, the Supreme Court rejected an appeal for hearing the matter post July 2019 and fixed the hearing for February 8, 2018. The AAP government filed an appeal challenging a Delhi High Court’s verdict which held the lieutenant governor the administrative head of the national capital. On December 6, 2017, the Supreme Court bench headed by Chief Justice of India Dipak Misra and comprising Justices AK Sikri, AM Khanwilkar, DY Chandrachud and Ashok Bhushan reserved judgment on whether the L-G or the Delhi government enjoyed supremacy in administration on a day-to-day basis. 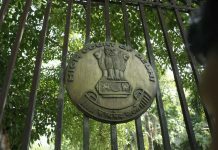 Appeals were filed by Tamil Nadu, Karnataka and Kerala against the 2007 award of the Cauvery Water Dispute Tribunal on sharing of the river water for 15 consecutive working days. Last year on September 21, the Supreme Court bench comprising CJI Dipak Misra, Justices Amitava Roy and AM Khanwilkar reserved its order on the said petitions. On October 18, 2016, a Supreme Court bench headed by Justice Misra, in an interim order, had directed Karnataka to continue releasing 2,000 cusecs of water to Tamil Nadu till further orders. The Naz Foundation has filed a curative petition seeking quashing of Section 377 which criminalises homosexuality. 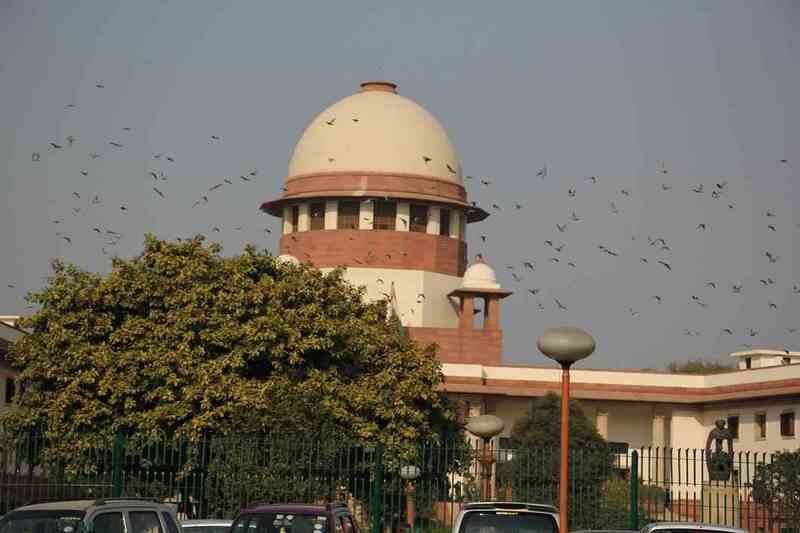 Three celebrities also approached the Supreme Court seeking quashing of the section. The celebrities, who belong to the LGBT community, said their lives were inexorably constricted and their rights infriged upon by such a provision. The Sup­reme Court judgment, dated August 24, 2017, which declared privacy a fundamental right, had brought cheer to the community and raised their hopes. A petition was filed by Supreme Court lawyer Charu Wali Khanna challenging the constitutional validity of Article 35A which confers special rights and privileges to the permanent residents of Jammu and Kashmir. 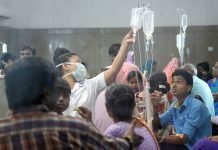 The Supreme Court also included a petition filed by the Delhi-based NGO, We the Citizen, challenging this Article. A Supreme Court constitution bench will decide the religious identity of a Parsi woman whose marriage is perfor­med under the Special Marriages Act.